We’d love your help. 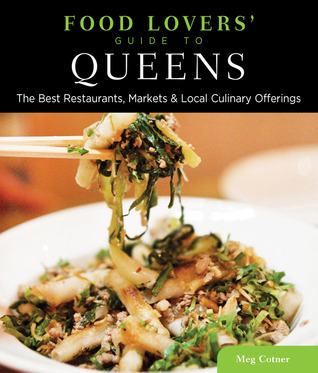 Let us know what’s wrong with this preview of Food Lovers' Guide to&reg; Queens by Meg Cotner. To ask other readers questions about Food Lovers' Guide to&reg; Queens, please sign up. Picked this up at the gift store of the Queens County Farm ! Its great! Just ate at the Jamaican restaurant- Melting Pot- in Astoria and loved the Jerk Chicken and Curry chicken with roti! And the sorrel was delish! I love how the book lists eateries by cuisine, special markets, food events and festivals and also Community Supported Agriculture (CSA)s in Queens.